Last time, I rattled off some initial thoughts about how this recent dronemania may positively impact mountain science. We stopped at the idea of a small-scale remote-sensing platform, but I think there are a few other ways that drones are going to contribute in the long run. In fact, some of these functions would be very useful to have on hand right now. Sometimes you just need to fly up and eyeball your equipment. Drones could make that easy. 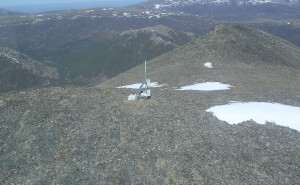 As mountain science continues to receive more attention worldwide, one of the common methods applied will be placement of permanent sensing installations at regular intervals across the elevational gradient. Making common measurements from low to high elevation is going to be crucial for comparing response of mountain systems to ongoing shifts in climate or land use. Maintaining these instruments in the field is going to be a time-intensive task, simply because of the effort needed to visit them all. It’s true, you could swarm an army of undergrads up the slopes to do your bidding, especially if there were grades involved, but let’s be serious: high quality data are going to require high-quality personnel investment. So, how do you maximize your time as an instrumentation systems specialist? How do you keep track of the condition of all of your field deployments? Well, for starters, real-time connectivity is crucial and should be implemented wherever possible. 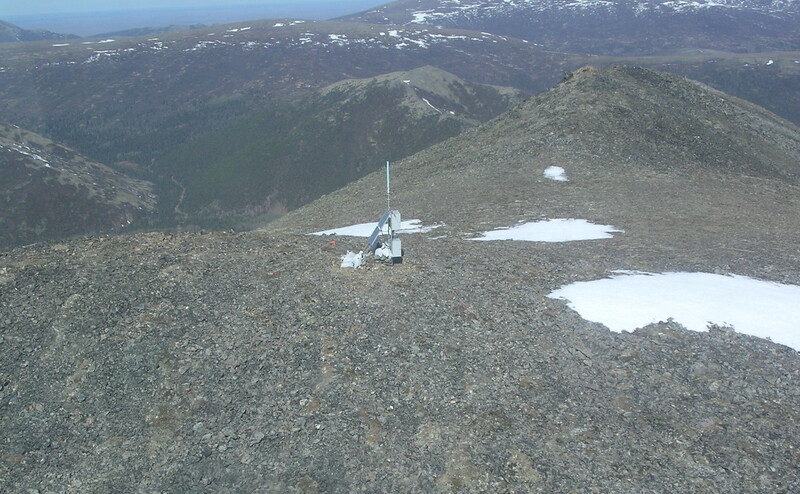 But sometimes strange things happen and you simply need to eyeball the hardware (solar panel exposure, anemometer, radiative shielding, antenna, snow cover, you name it). Using drones to periodically inspect dozens of field sensor deployments is not a bad idea, and being able to make an emergency inspection on short notice is even better. As long as the weather is decent, there is no cleaner alternative than being able to fly an HD camera directly to ground zero and assess the nature of a problem. 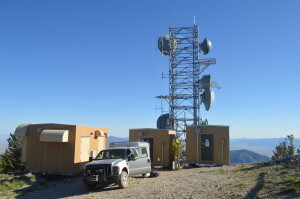 This mountaintop communications site sees very hard conditions in the winter. Being able to take photos of icing conditions on the tower and antennas would help troubleshoot reoccurring problems with signal strength. During the off-season, access into mountainous areas can be a time-consuming and logistics-intensive operation. Yes, it’s true. The equipment tech inside us is really just standing around waiting for the green light to break out the snow machine and goggles and head for the hills. But how efficient is that? What if you have a LOT of gear out in the mountains? Pretty soon you’ll have more maintenance work than you can handle, even if you’ve followed the best available practices. I think our internal equipment tech would geek out on the possibility of combining drones with snow machines. Just saying. We’ve all heard about daily radiosonde launches (and some of us bang around out in the boonies enough to find the instruments occasionally). The Weather Service gets precise data on the entire tropospheric column as well as a portion of the stratosphere. Essentially, a snapshot profile of the near-surface atmosphere is quite useful to weather models. Well, what about measuring profiles in association with mountain observatories? In other words, regular profiles of free air conditions such as wind speed, humidity, pressure, and temperature in a canyon, valley, or along a mountain front would supplement ground-based observations in an interesting way. Characteristics of typical air flow associated with mountainous terrain could be useful for ecologists trying to untangle questions of population distributions, for instance. It would seem that given the capabilities of drones to maintain pre-programmed flight patterns using high-precision GPS and WiFi triangulation would make this application a very feasible operation given just a little sensor package and software development. Those are a couple of obvious ways in which drone operation will enhance mountain science. I’ve got a couple more, stay tuned for Part 3. If you’ve got your own ideas or thoughts about mine, post them in a comment!